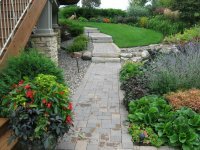 Welcome to JT Construction of Elk River, Inc.
We specialize in hardscapes; using brick pavers to create driveways, patios and sidewalks, installing boulder walls and modular block retaining walls and landscaping. We serve the Twin Cities’ Northwest suburbs including, but not limited to Maple Grove, Minnetonka, Plymouth, Corcoran, Orono, Rogers, Elk River, Otsego, Albertville, St. Michael, Monticello, Big Lake, Becker, Buffalo, Ramsey and Andover. With 28 years of experience, JT Construction has created beautiful outdoor environments for residential and commercial clients.